Sibley (1757-1837) is buried in the American Cemetery in Natchitoches, Louisiana. John Sibley was the first Indian Agent in the Louisiana Territory. Born in Massachusetts, Sibley became a physician in North Carolina and joined the army during the Revolutionary War. Years later, he offered his services again to the army along the Red River frontier. While there, he served as an Indian Agent in Natchitoches. He helped to procure the provisions and guides needed for Thomas Freeman, Peter Custis, and Col. Sparks to explore the Red River after the Louisiana Purchase. The purpose of an Indian Agent was to ensure the security of the United States and its claims, which meant negotiating treaties, land sales, and agreements with tribes in the areas where they worked. Dr. Sibley documented his work as an Indian Agent through copious correspondence, some of which is reproduced below. In 1804, Sibley described the final peace negotiations between the Caddos and Choctaws at the Indian factory in Natchitoches in a letter written to his commanding general. In this excerpt, he explained that the availability of liquor in the “little town of Natchitoches” had a bad effect on all inhabitants. In 1806, Sibley sponsored an expedition to “recover” a large meteorite from the lands between the Brazos and Red Rivers in Spanish Texas that Indian Trader Henry Glass had relayed to him. Of course, “recovering” this medicine stone was highly illegal for at least two reason. For one, the Spanish had made their claims on the lands of Texas abundantly clear, and they definitely did not want the Americans invading their lands. Secondly, the Wichitas and the Comanches considered the meteorite an important medicine (religious /medicinal artifact). Sibley thus paid for this expedition out of his own pocket, as he had hoped the meteorite was made of platinum and, I assume, he could retire in luxury if he was able to sell it. The “platinum rock” turned out to be an iron meteorite, which eventually up at the Peabody Museum at Yale University. Sibley’s expedition stole the meteorite from the Texas lands and sent it to geologists in New York once the sample was determined to be iron, not platinum. Purchased by rock collector George Gibbs, eventually the 1,600 lbs meteorite – the largest recovered as of that time period – centered Gibbs’s extensive collection. Gibbs’s wife donated the rock to Yale University’s Peabody Museum. Texas is a big state. It’s also my birthplace and the birthplace of my dad, so of course I feel affinity for it… sometimes. It’s also a place with a LOT OF hot air circulating around – or rather, hot airbags. But you know I love you, Texas. With that being said (and bracing for the pounding I might receive in written form later on), I am going to go on a limb to claim that if you want to visit a whole ‘nother country, it really isn’t Texas – it’s Louisiana. 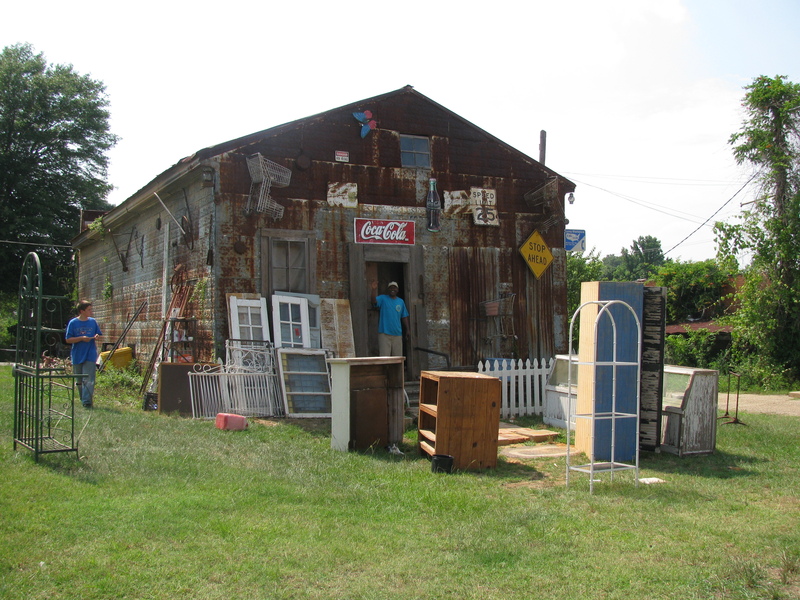 Texas may have been the birthplace of Bonnie and Clyde, but they died in Louisiana – near Gibsland, to be exact, where I met this really cool guy and his eclectic collection of antiques that he’s not willing to sell. I mean, just look at Louisianan diversity. They don’t have counties, they have parishes. Their Mardi-Gras is a unique blend of Catholicism, Carnival, Fasching, and Santeria. The mighty Mississippi forms its delta here, for gosh’s sakes. And check out those who’ve made their homes in LA. The original inhabitants were the Caddos, Natchez, Coushattas, Chickasaws and Choctaws, all of whom built large tiered cities and a sophisticated farming and trading system. Later, the creoles emerged, people of mixed Spanish, French, Native, Caribbean, and African descent who, to this day, populate the Red River. 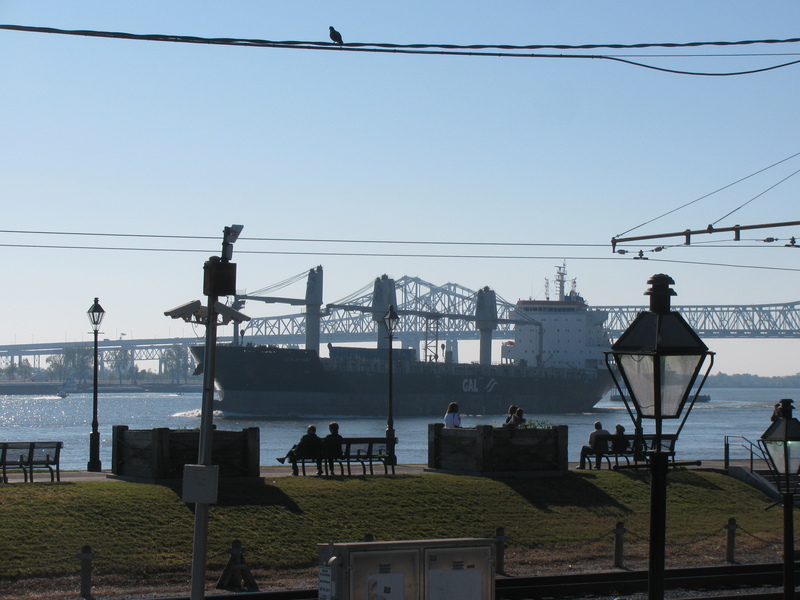 Then there are beautiful places like Natchitoches and the French Quarter, whose buildings mirror Spanish architectural styles in a New World colonial layout (it’s mostly not French construction – after the French Quarter burned down, the Spanish, who controlled New France from 1763 until 1798, rebuilt it using brick and stone). The Cajuns stem from displaced French Canadians (Acadians), who were kicked out of said colony by the British and found their way to southwestern Louisianne, with their unique brand of French and their willingness to adapt their cuisine to native flora and fauna. People of African descent, mostly former slaves, built thriving towns, churches, schools, and businesses under strained circumstances, as it was Plessy v. Ferguson – which established the “separate but equal” doctrine – that began in Louisiana courts. The Germans brought their industry and Christmas customs with them, as did the English with their protestant and free-market ways. The Italians introduced some wonderful foods to Louisiana’s palate – Shreveport once had Italian delis and bakeries all over downtown. Today, large immigrant groups from Mexico, Laos, Burma, Vietnam, and India have made this state into a true melting pot of world cultures. 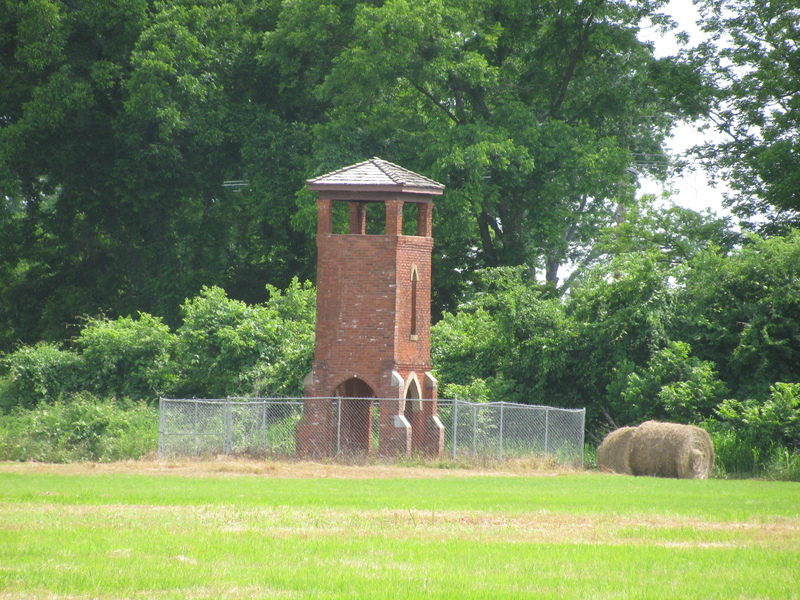 Louisiana does not just have haunted plantations, but haunted towers, too. And where else can you take a picture of a bridge in downtown Shreveport, right next to gaudy casinos, and realize that it was not an old bicycle seat sticking out from the bayou muck, but an alligator’s head? I know that Texas compares just as much. After all, SIX flags flew over Texas (although I still don’t buy the French claim to Texas, as La Salle’s colony was pretty much a failed usurpation and New Spain never recognized French claims south of the Red River west of the Great Bend). But Texas doesn’t have Natchitoches meat pies. Or beignets. Or Civil War battle sites. Vive la Louisianne! Okay, okay, and viva Tejas. 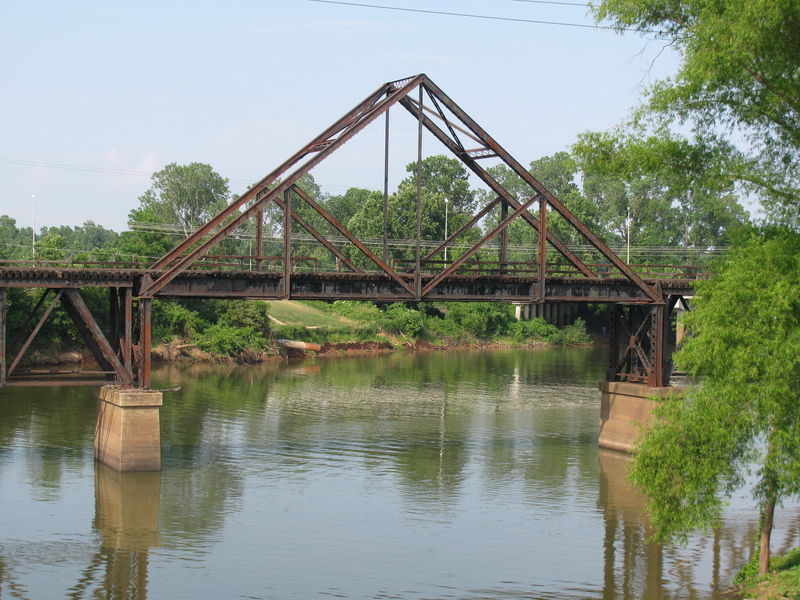 And where else but Louisiana can you find a triangular truss bridge? New Orleans awakened a creative hunger in me. I just felt like sharing this feeling. Ignore as you wish! with the inkiness of night. I heard the idea call. as I called them out. on that day in November. the gained idea I had once lost.